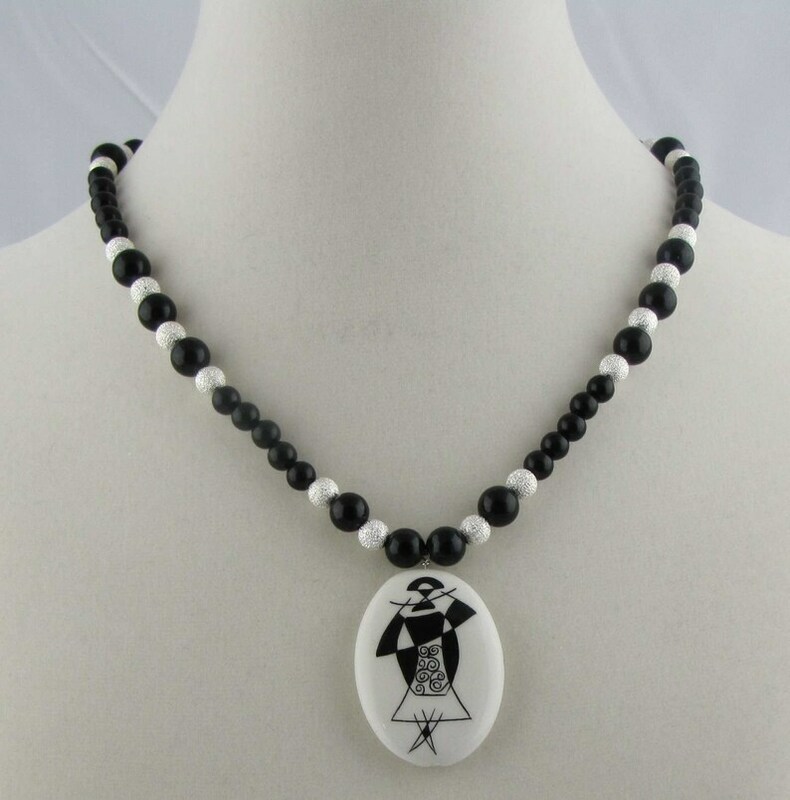 An elegant black, white and silver palette gives this necklace a very sophisticated art deco feel. The unique black and white porcelain beads are designed in the USA and hand painted with care to create the exquisitely detailed pattern. The back of the bead contains the artist’s signature. Onyx, “stardust” silver beads and sterling silver findings complete this lovely necklace. The necklace is 18 inches long and weighs approximately 1¼ ounces.